Collectively, JetBlue, Southwest, and Spirit Airlines combined operate two-thirds of total capacity at Fort Lauderdale Airport, each with roughly similar market share. OAG, a leader in flight information, released its list of North America’s Fastest Growing Airports 2018. The new report ranks the region’s fastest growing hub airports (over 20 million departing seats) and midsized airports (three – 20 million departing seats) based on percentage growth in departing seat capacity between May 2017 and April 2018. The fastest growing North American hub is Fort Lauderdale-Hollywood, Fla., (FLL), which grew 11%, or two million seats, over the 12-month period. The airport’s growth was driven primarily by low-cost carriers (LCCs). 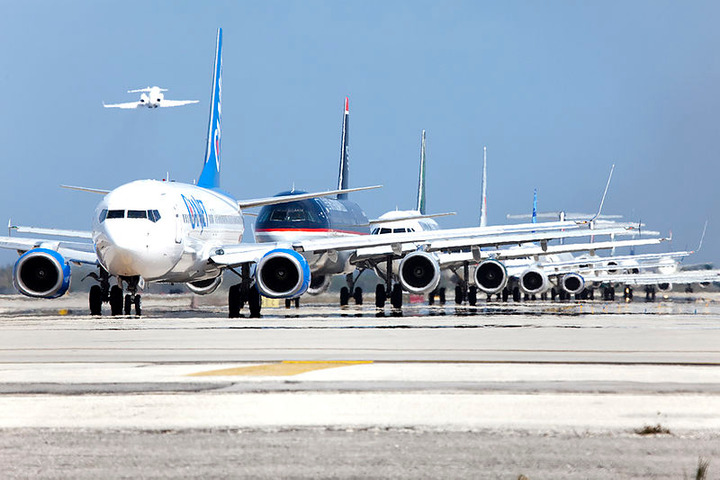 Collectively, JetBlue, Southwest, and Spirit Airlines combined operate two-thirds of total capacity at FLL, each with roughly similar market share. Southwest was the fastest growing airline of the group, adding 32% more capacity than the previous year. The fastest growing route from Fort Lauderdale is to Hartsfield-Jackson Atlanta International Airport (ATL), which operates 50 flights per day. New Jersey's Newark Airport (EWR) finished as the second fastest-growing hub airport in the region, with 8% growth and 1.4 million new departing seats. Newark is United Airlines’ third largest hub after Chicago’s O’Hare International Airport (ORD) and Houston’s George Bush Intercontinental Airport (IAH). United also controlled 65% of capacity at the airport over the 12-month period evaluated by OAG. Orlando International Airport (MCO) increased its seat capacity by 7%, finishing as the third fastest-growing hub airport. MCO experienced growth from several major airline carriers in 2017-2018, with Southwest, Delta Airlines, and Spirit Airlines combining to add 115,000 seats. Boston (BOS) finished fourth and San Francisco (SFO) fifth, both with a 6% growth in seat capacity. After CVG, which grew 18% this year, the second fastest-growing mid-sized airport is Austin-Bergstrom International Airport (AUS) with 16% growth. “Although most flights out of Austin are domestic (97%), international service from the airport is growing quickly at 22%, likely due to the city’s growth as a technology hub,” added Grant. California's San Jose and Burbank (15% growth each) and Cleveland (11% growth) round out the top-five fastest growing mid-sized airports.